AVAILABLE NOW IN THEATERS & ON DEMAND! Following the trailer for the Showtime series I’m Dying Up Here, we have a look at another fascinating glimpse into the world of stand-up comedy, this time one from the real world. 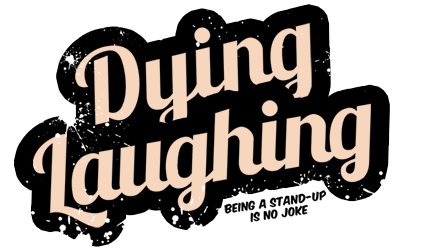 Dying Laughing is a new documentary that feels like it should have been called I’m Dying Up Here, because it features one-on-one interviews with stand-up comedians like Jerry Seinfeld, Kevin Hart, Amy Schumer, Cedric The Entertainer, Russell Peters, the late Garry Shandling and more, all talking about their worst experiences on stage. These are the times when the bombed, died, crashed and all the other words which describe the worst thing that can happen to a comedian on stage: not getting laughs. Watch the Dying Laughing trailer below. Other features comedians talking about their worst stage experiences include Billy Connolly, Steve Coogan, Mike Epps, Jerry Lewis, Sarah Silverman, Keenen Ivory Wayans, Eddie Izzard and even Oscar nominee Jamie Foxx, who some forget got his start in stand-up and sketch comedy. Over two years, as the film began to emerge from the thousands of miles traveled and hundreds of hours or interviews, we learned about the physical and emotional dedication that it takes to become a stand-up comedian, and that the prospect of failure haunts even the most experienced and celebrated practitioners. We hope that the audience will find the final piece as touching, thought-provoking, inspirational and as funny as we do. Though the engaging documentary treads through unavoidably familiar territory — the loneliness of the road, the anguish of bombing — its chorus of testifiers often find sharp new angles of approach. Like the jokes they hone, many of their insights arrive with the impact of well-crafted punchlines. Every comedian has stories like this, from the rising stars to the top tier performers, and they’re always fascinating to listen to. Apparently, Toogood and Stanton interviewed twice as many comedians as ended up in the final cut, and I’d love to pore over all that extra footage. Maybe some of it will be released on home video. Dying Laughing hits limited theaters and VOD on February 24.